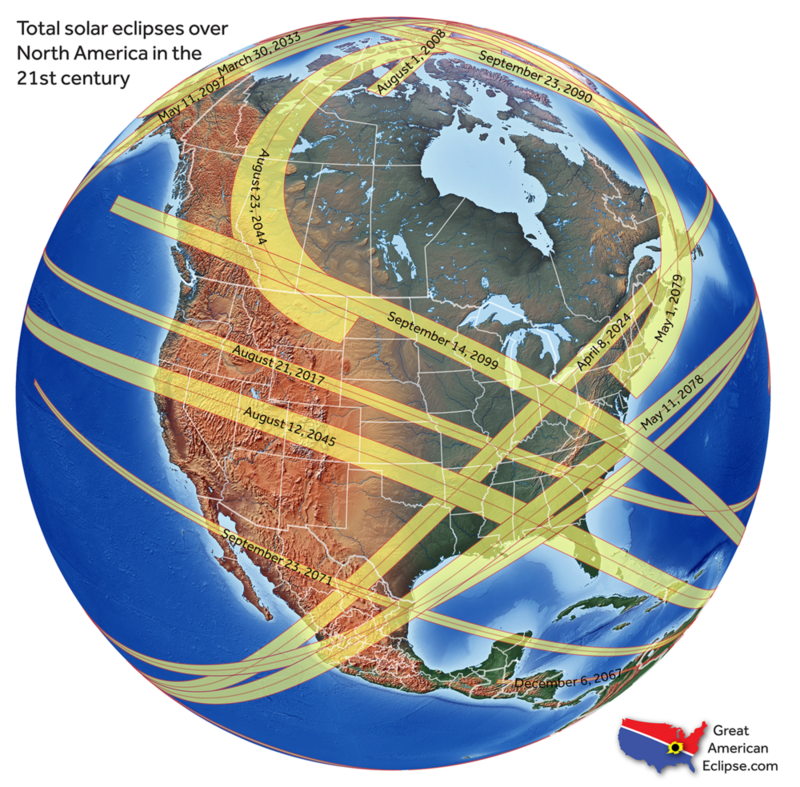 The folks over at GreatAmericanEclipse.com have created a great map showing where total solar eclipses will be seen in North America over the next 85 years. I got a little depressed thinking that the last one I will probably see is in 2045. If I live to be over 100 then I can see some of the ones in the 2070s, but that will be pushing it. Who knows what can happen to extend people’s lifetimes and quality of life, but I am not counting on it. So that gives me two big solar eclipses – 2017 and 2045 to try and make sure I see! This entry was posted in Maps on January 19, 2015 by clubjosh.